A British famous motorcycle manufacturer named Brough Superior back to producing the motorcycles, after their Brough Superior SS100 which was first released 73 years ago. This time Brough Superior was not make one motorcycle model but three models, namely Racing Full Black, Traditional, and Titanium. 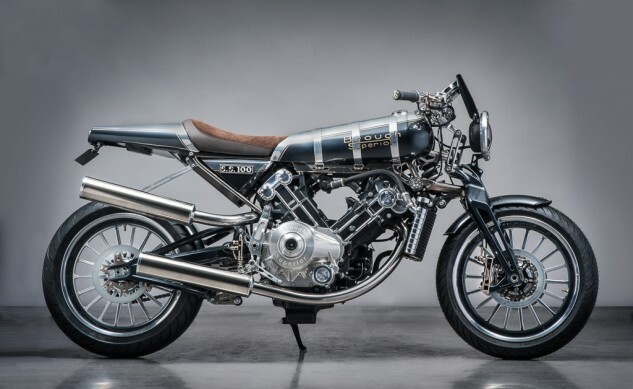 The first Brough Superior SS100 motorcycles were produced in 1924 and the manufacturer stop the whole process of production since 1940. Since that time the famous British motorbike manufacturer was not producing motorcycles until 2013 they came back into production. 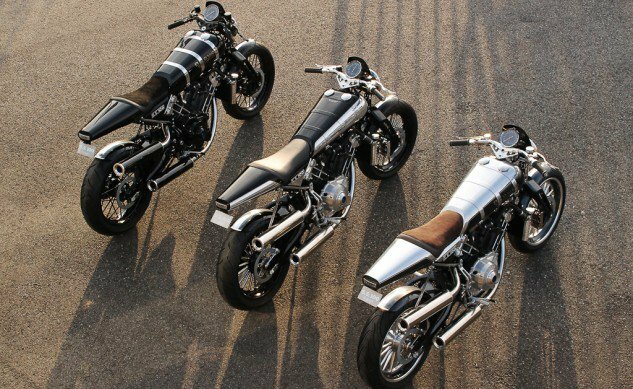 Their new motorcycles have a vintage design and was first introduced in the EICMA 2014 in Milan, Italy. 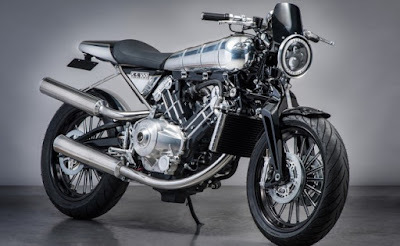 The new version of Brough Superior SS100 are also carrying the style of cafe racer and using a V-twin engine with a cylinder capacity of 997 cc that claimed can spew the power ranging from 100 hp to 140 hp. For its chassis, these motorbikes use the basic ingredients mixture of titanium and steel. 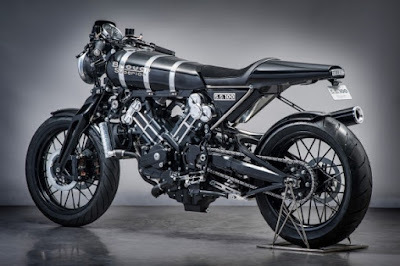 And for the legs, Brough Superior designed by themself the special 4D brake caliper for this motorcycle and wheels that are all made of aluminum.